My visit to the UK netted two encounters with frames made by the famous Manchester cycle maker Johnny Berry. 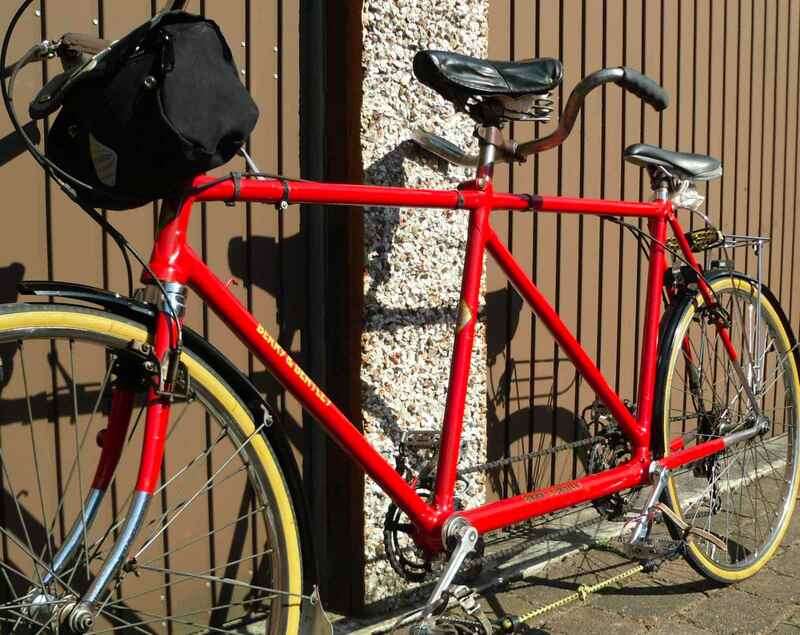 One, the tandem, actually is that old that it still says Berry and Bentley on it. 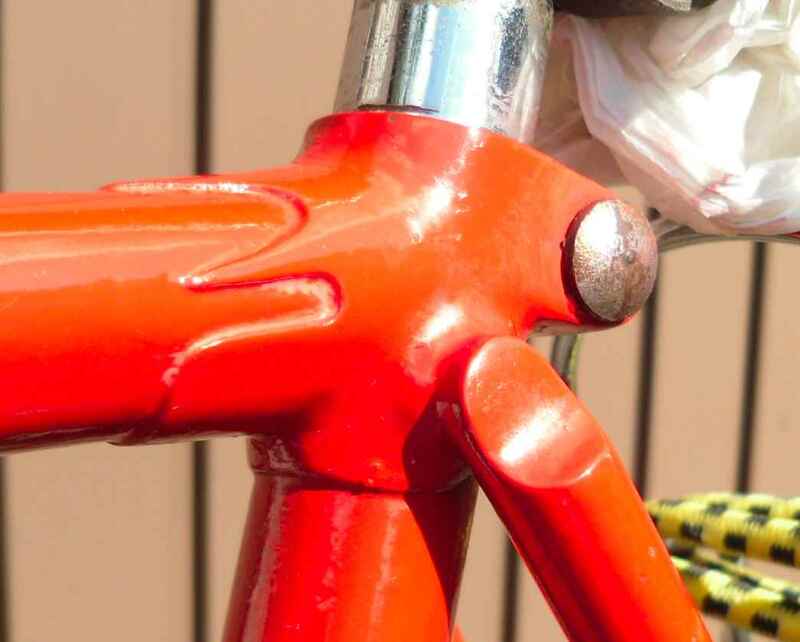 The solo is in original paintwork, and look at the lugs… Fantastic. Not many more explanations necessary, I think. First, the tandem. 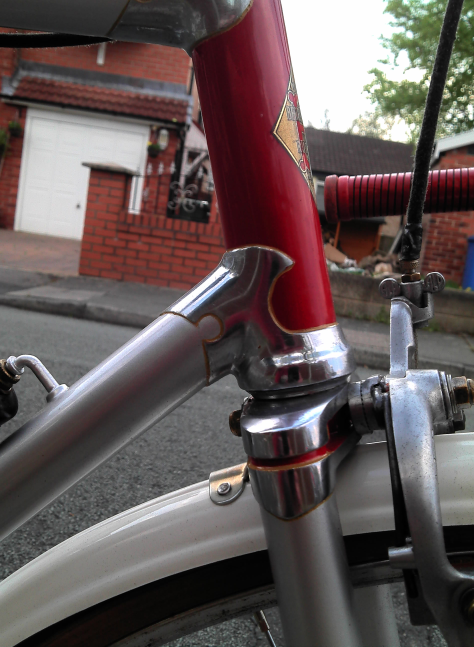 Headclip, Resilions, seat stay tops – it screams late thirties, and it is. Sadly it´s not in original paintwork and has a number of non-thirties parts. It does get ridden, though, and that´s something. Here´s the solo, 1951, and so beautiful. I´m afraid my photos don´t do the frame justice. There wasn´t too much time to take decent photos. “Many details of 1951 Johnny Berry No. 511301 are interesting and well done. When compared to many other frames made in the early 1950s, it is obviously exceptional. 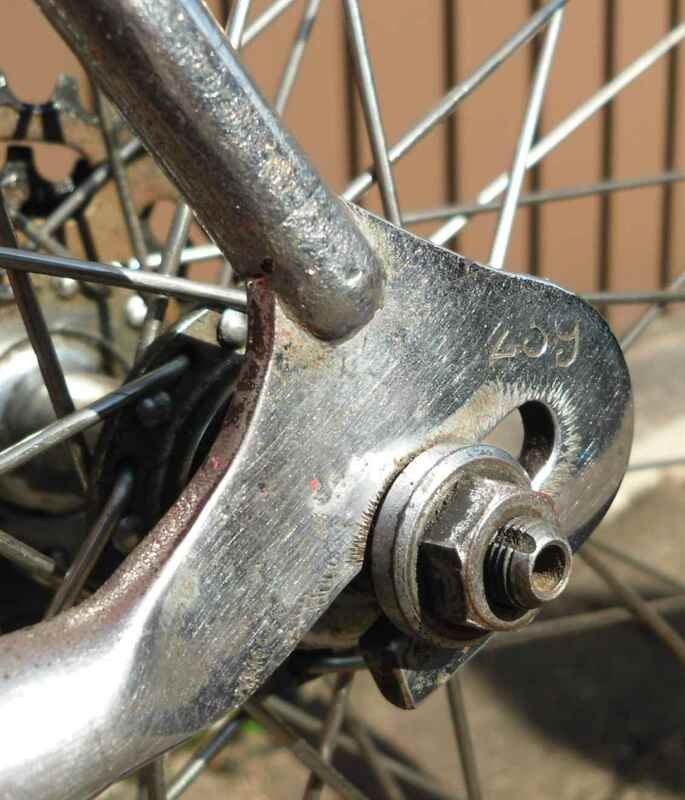 Lugs have been extensively reworked; they have been tapered, beautifully thinned, and the shorelines have been well filed. Also, they have been carved into a pleasing shape that is quite different from their original look. A point, I think, has been added to the front of the head lugs. Clearly, lot of work and time has gone into the lugs to make them what they are. 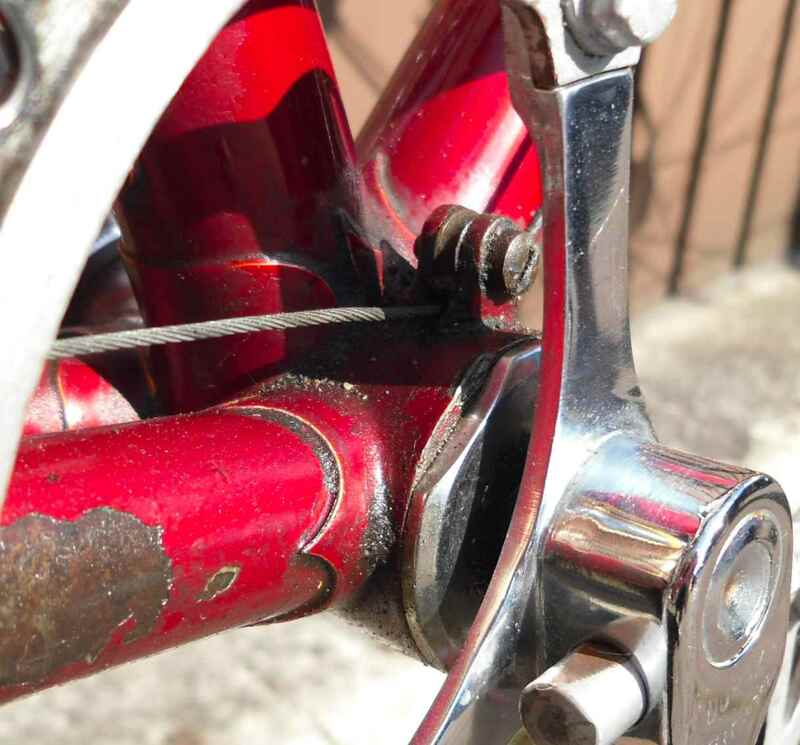 I don’t know who manufactured the lugs, but they look (to me) to be the same as used on a silver/red Berry & Bentley frame that was built in 1937. The fork crown was also beautifully crafted. I have not seen this crown used on many Berrys. No. 511301 has a single gear lever boss brazed onto the right side of the down tube. 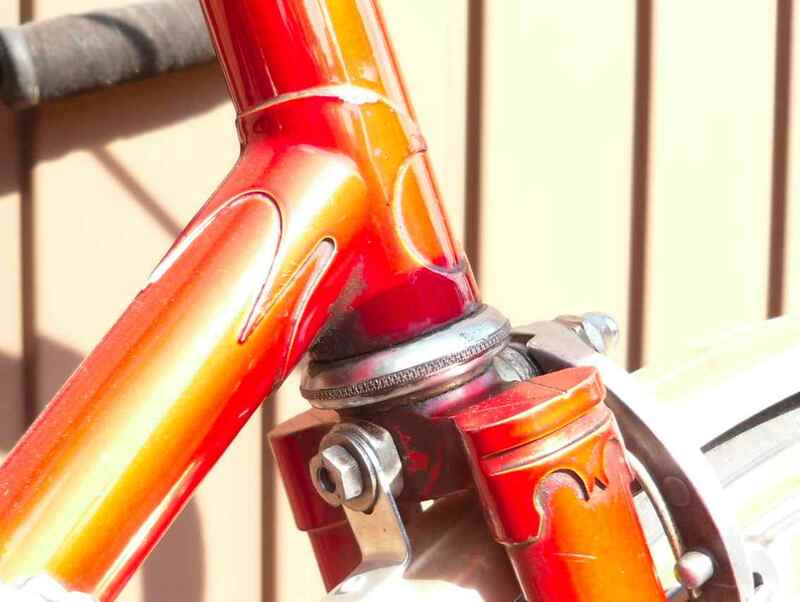 Most Berry road frames from the 1950s had one or two lever bosses brazed onto the down tube. No. 511301 is the second Berry frame that I have seen with a roller gear cable guide brazed to the top of the BB shell on the drive side. The other one, #511371, was also built in 1951; it had a double roller, instead of the single roller that is on #511301. 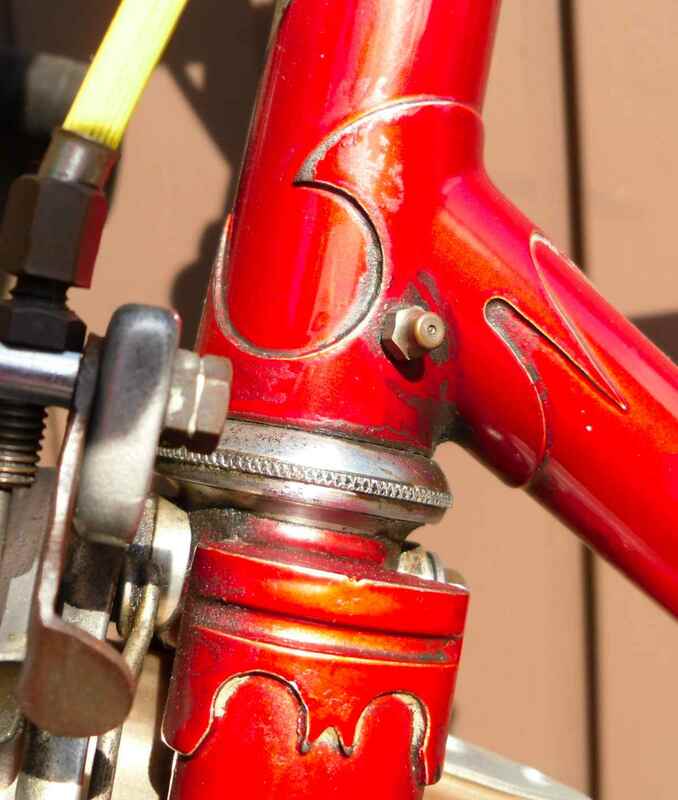 I’d bet that #511301 was built to be used with a single chain ring (or a rod actuated double); originally, a single down tube shift lever would have controlled the rear derailleur via a cable that ran under the roller on the bottom bracket shell (#511301 continues to be set up like this). 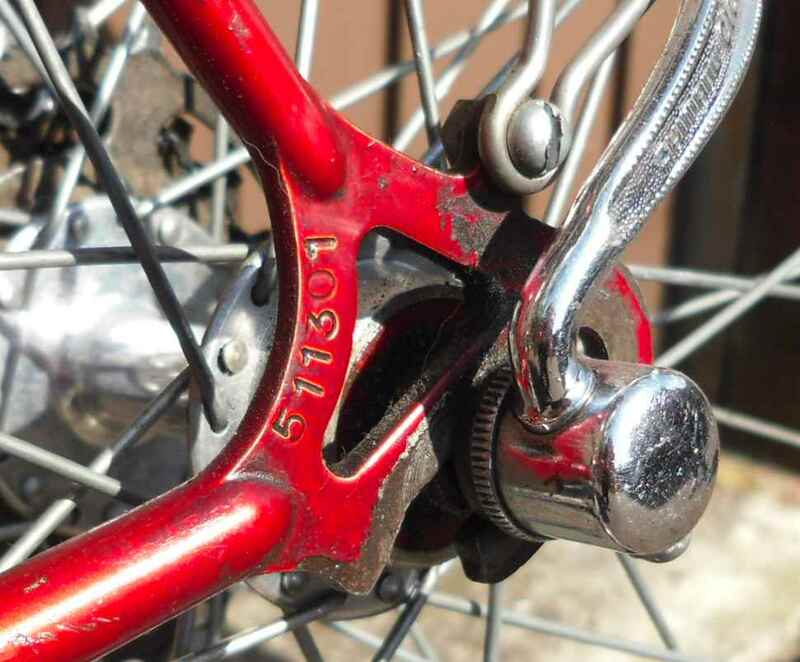 I’d bet that #511371 was built for a bottom-pull front derailleur and a twin down tube shifter mounted on the right shifter boss; the inner roller housed the front derailleur cable and the outer roller was used for the rear derailleur cable. A 1951 Hobbs Blue Riband in the Classic Components/Gears/Simplex JUY 51-53 section of classiclightweights.co.uk has photos of this set up. 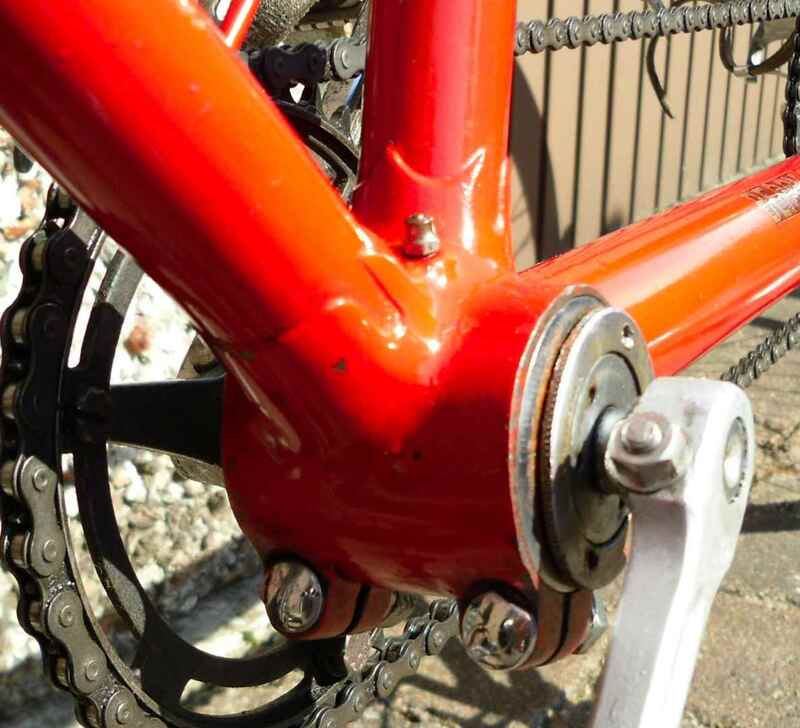 However, there is no reason, that #511371 would be limited to using a cable actuated front derailleur; in fact, there are photos of the bike being raced with a rod actuated front changer. 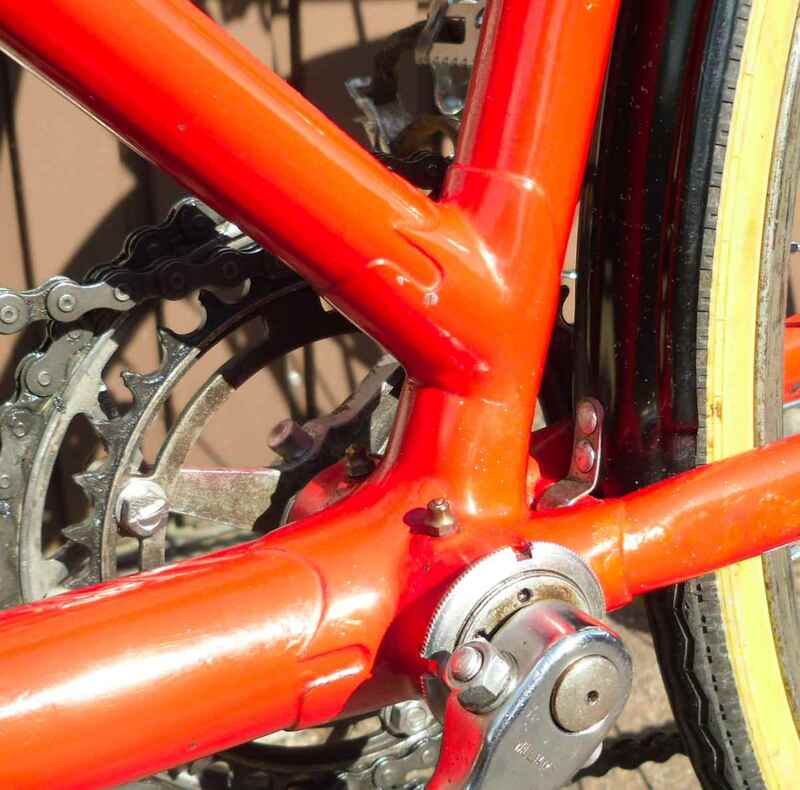 Originally, #511301 and #511371 would, I think, have used a Simplex JUY 51 rear derailleur and Simplex down tube shift lever. Back after a few days of British and French adventures. I took some time off everything, including the family, (because my wife didn´t get time off in July) to visit friends and to do things I´ve wanted to do for ages, like visiting British plane museums and the WWI battlefields in France. I also saw a great number of old bikes; my guess is that my visit will net a handfull of further blog posts. 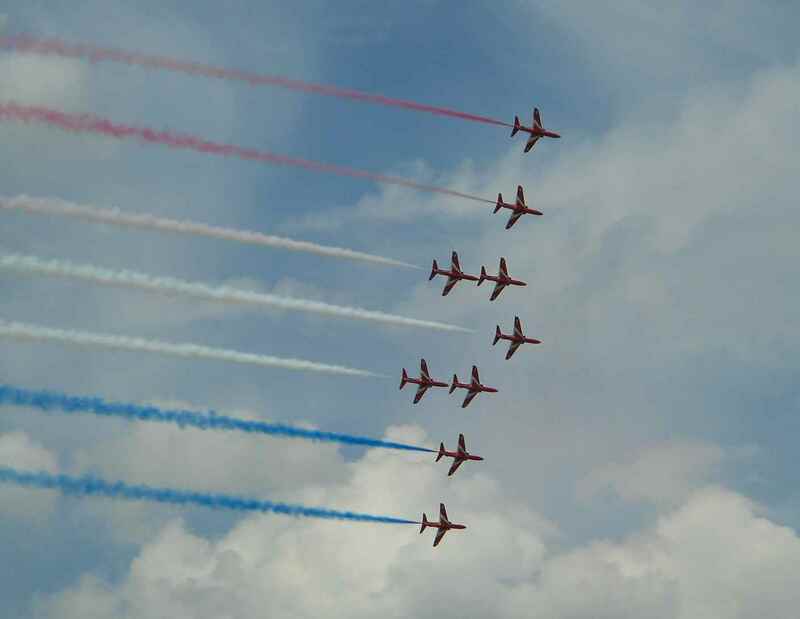 One of our British friends told me that the Fairford Air Tattoo would be on right on the Saturday of my visit, and that he knew a place where we could be much closer to the action than official visitors with tickets. 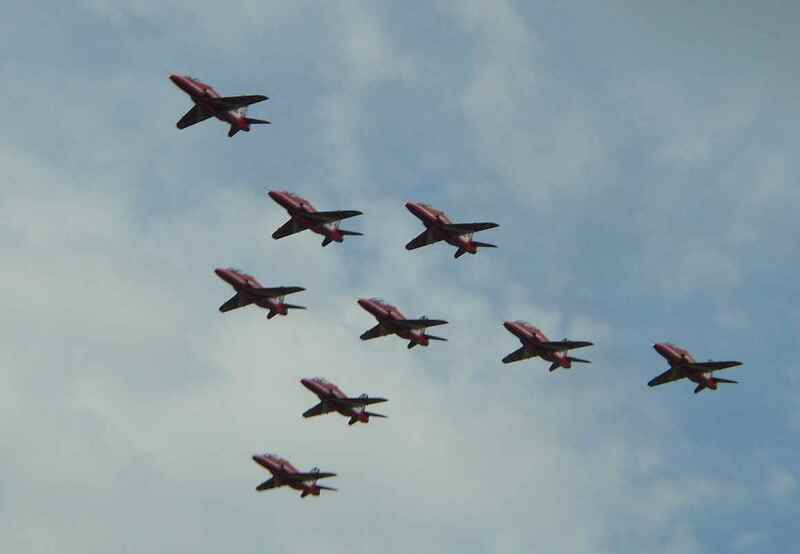 I agreed at once to go and have a look as this would be a welcome addition to my Cosford and Hendon visits. Our friend not only is a fervent cyclist but also has known his way around Fairford since when it still was an American air base. We cycled, an easy 50 kms, and so could escape all the temporary one way systems and other controls motorists were subject to on the day. 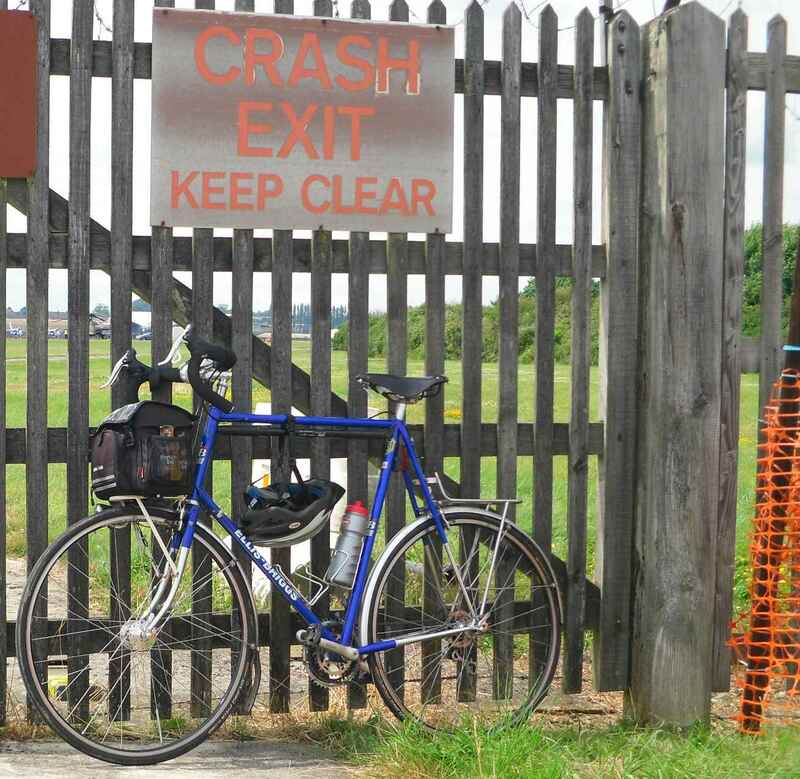 BTW, we could have cleared the crash gate in a matter of seconds; I only leant my bike to the gate for the photo. Being so close to the runway, when planes landed we thought we could touch their undercarriage wheels. It was great. 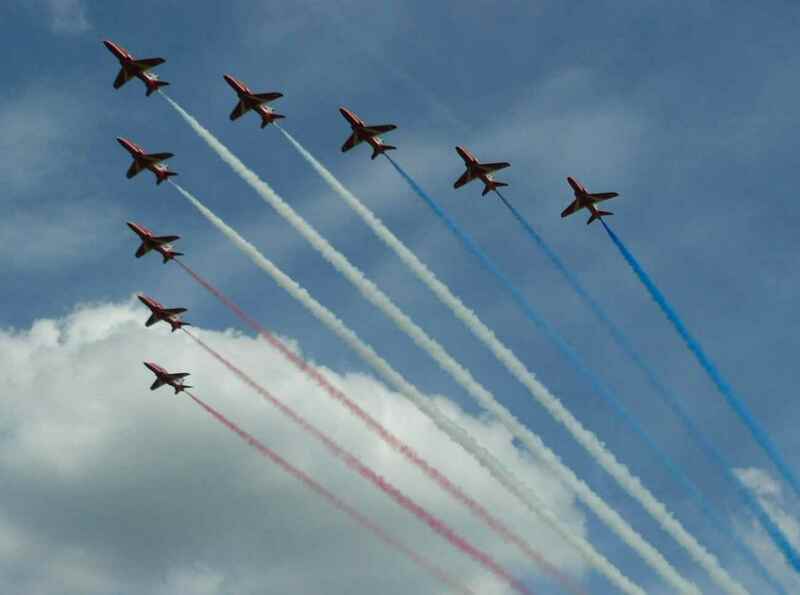 That afternoon we saw the Red Arrows, the Patrouille de France, some other aerobatic teams and displays by Belgian, Swiss, Czech and British fighter planes, among others. making it easy to forget that all of the show really is about giving the military a more colourful and sympathetic image. 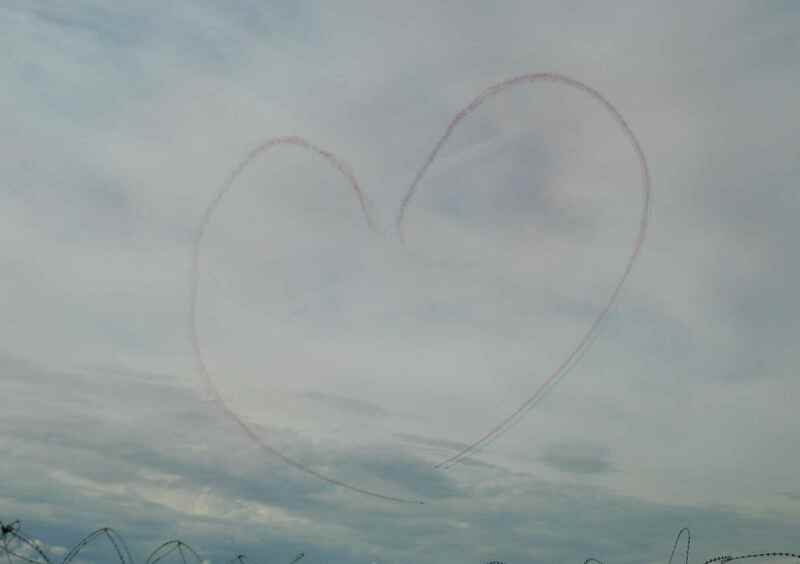 Flying skill is one thing, but a helicopter performance at the beginning of the show reminded me what it all really was about. While I was fully aware of the fact that the world certainly would be better off without the necessity for all of the hardware displayed (there also were demonstrations by Eurofighters and modern US built warplanes), there is one thing I have to admire: The craftsmanship and ingenuity that goes into keeping 70 year old planes in the air. 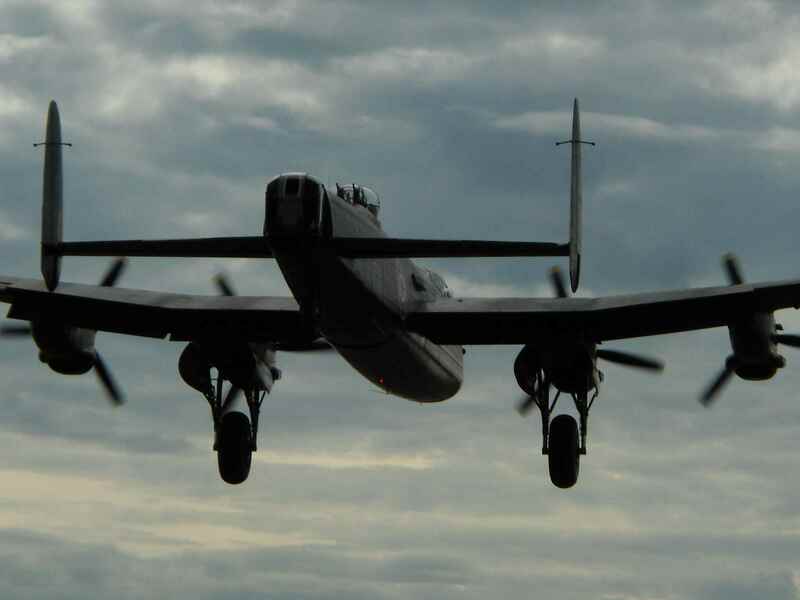 So when suddenly, among all the thundering noises of modern fighter planes, this veteran of the skies appeared, there was the completely different sound of four Merlins to be heard – and my hopes of seeing a Lancaster in the air were fulfilled at long last. It was PA474, the last airworthy Lancaster in Europe (there is another one in Canada). 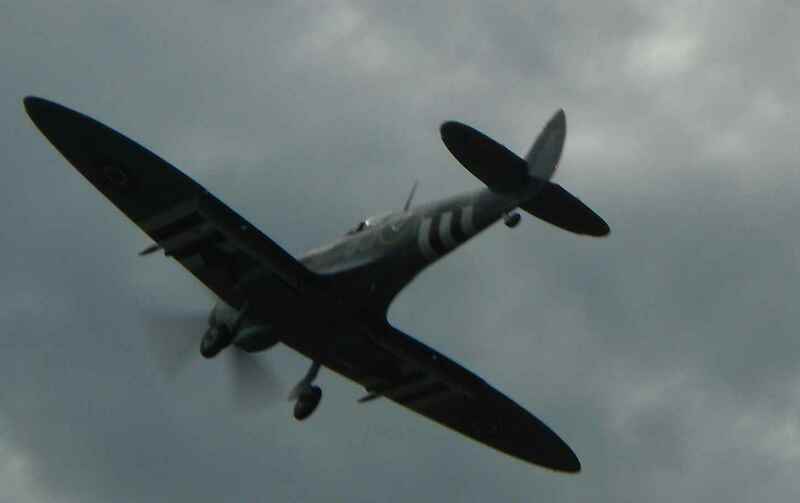 It is kept by the Battle of Britain Memorial Flight of the RAF for special occasions. 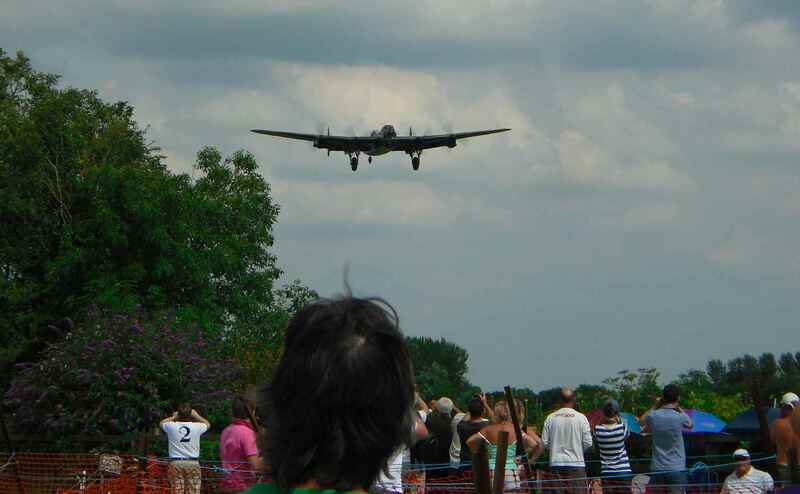 the Lancaster landed to take off again later in order to circle the airport a couple of times. 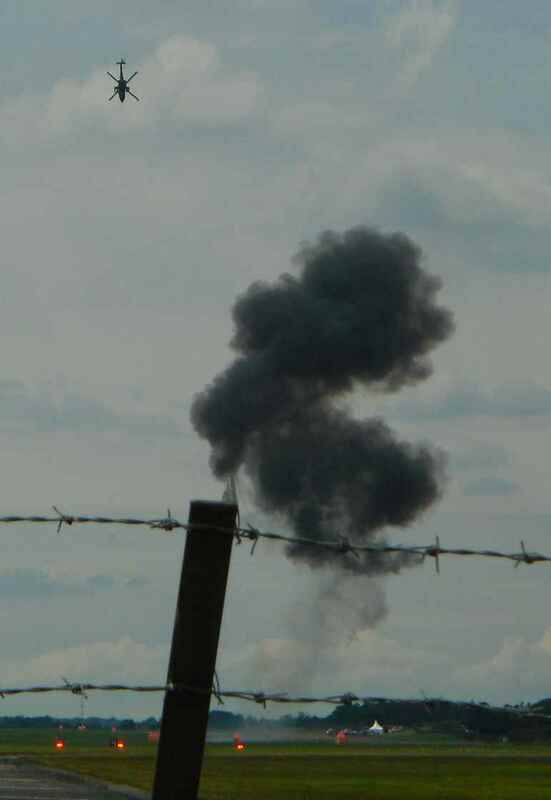 Lastly, there was a C 47 stalwart too, giving only a fleeting appearance, but still. It´s as complete as it is because two of its crew of three were opposed to the Fascist régime of Germany and involved with the British Secret Service. After making their superiors wonder why they just were not able to shoot down any British bombers, they defected to the UK, managed not to be shot down by British air defense, delivered the most up to date German on-board Radar to the Allies, and even made BBC broadcasts about their deed. Germany could have done with more men like them. 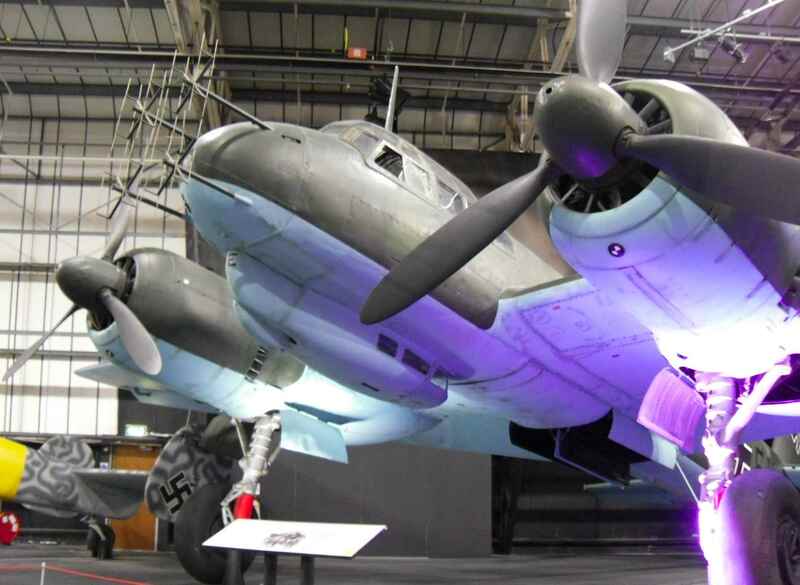 The complete story can be read up on the RAF Museum website in the plane histories. What cannot be read up there is the ingenuity behind the BMW 801 aero engine units on the plane, but that´s a different story altogether. Lastly, there is this plane, also at RAF Hendon. 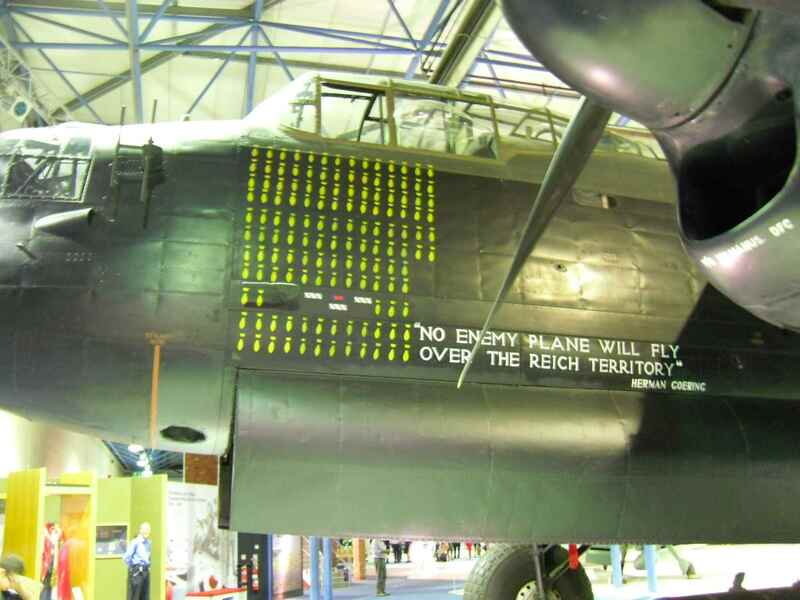 What comes to mind about it, the Lancaster second on the list of the highest number of bombing sorties over Germany? The heroic crews it was flown by, volunteers all of them, the dedicated ground crew it had, the undoubted difference it made towards the outcome of the war – and the fact that it bombed every city in Germany I have lived in so far. It may have been the plane that destroyed my maternal grandmother´s house, who knows. But then it also took part in both Operation Exodus (Allied prisoners being flown out of Germany, starting even before hostilities had ended) and Operation Manna (thousands of flights supplying Dutch civilians with food during the April 1945 starvation). There´s no simple black and white, as usual. 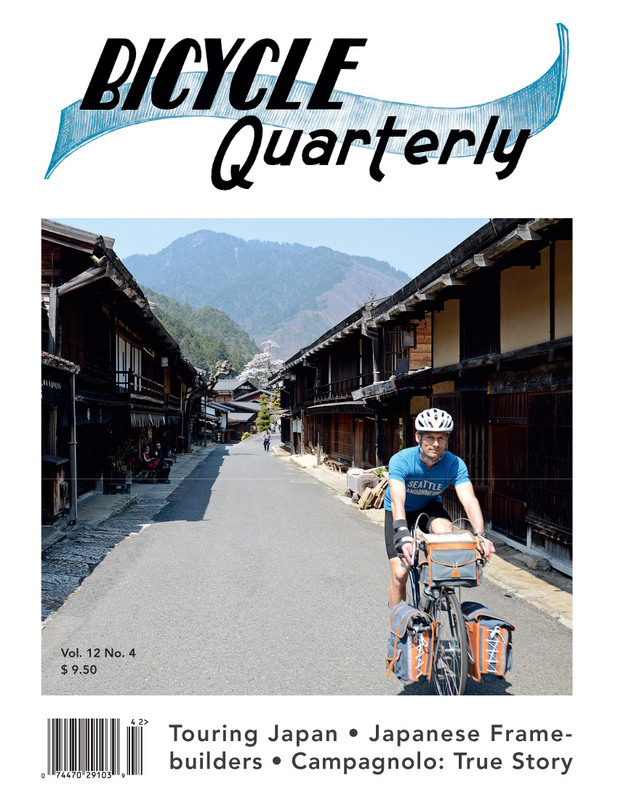 What´s the most striking parallel between Bicycle Quarterly and this blog? Correct, the lapse in publication of three months or so. 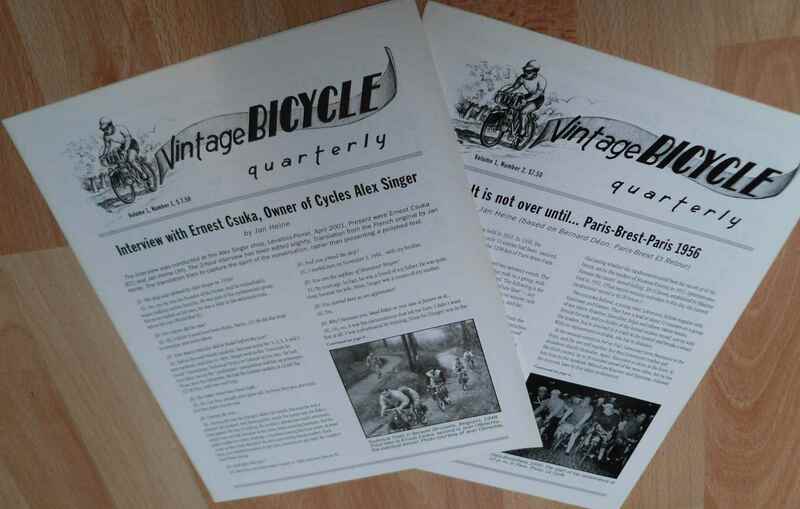 Recently the new issue of Jan Heine´s Bicycle Quarterly arrived, alas in the midst of yet another hectic week so that I just could not find the time to read it properly. When I did it was another great experience, even more so than the preceding issues. As usual, both photography and language are crisp and precise, there is an academic approach not found in any other cycling mag I am aware of, and Jan manages to keep his cycle parts business and his journalistic standards apart by using his famous disclosures that BQ´s sister company sells the product reviewed. In fact, his impartiality in testing has broken friendships and led to concerns that no cycle manufacturer would submit any more bikes, which is quite something. Do you notice the similarities in design? Masthead, loads of copy on the cover page, a headline in between. Both of course tie in with a number of other publications, especially scientific reviews, but still. However, Jan´s texts were different from Grant´s right away – in the beginning Jan didn´t sell any goods and he applied a strictly scientific style of writing. Small wonder looking at Jan´s background. So, what makes this, the latest, issue special? I guess first there is a high personal longing level on my side with a number of articles resulting from Jan and his co-worker Hahn Rossman´s visit to Japan. 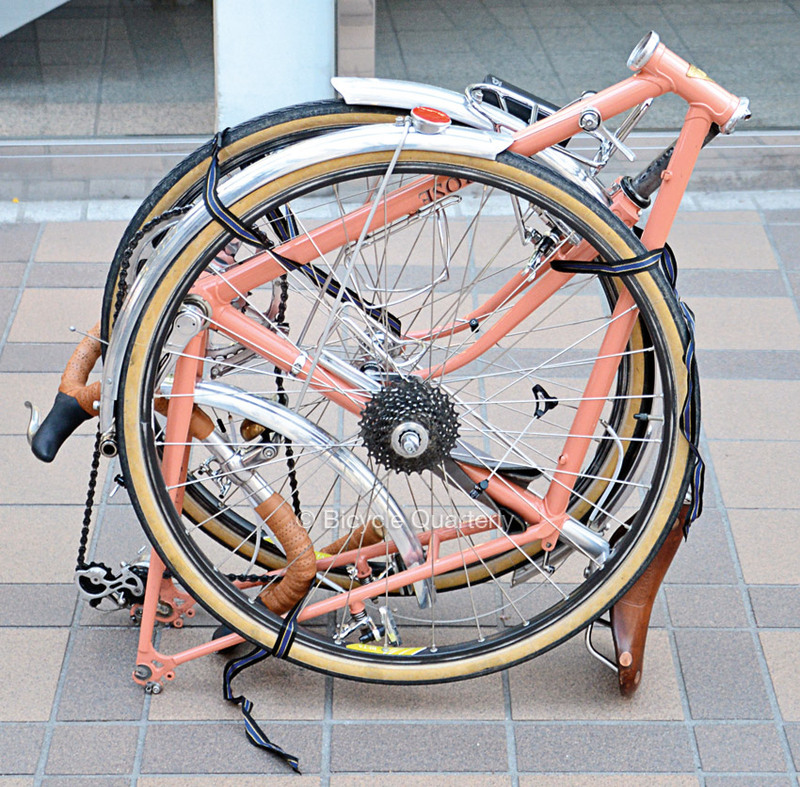 Their article on a tour of the Japanese Alps describes something I would really, really like to repeat some time as a visit to Japan and its progressive cycle industry is a dream I have harboured for a long time. Jan describes Japan as a thoroughly fascinating country and its inhabitants as just as thoroughly friendly and blessed with a sense for coping and having great ideas as the result. This then goes into a bag which meets Japanese train requirements. 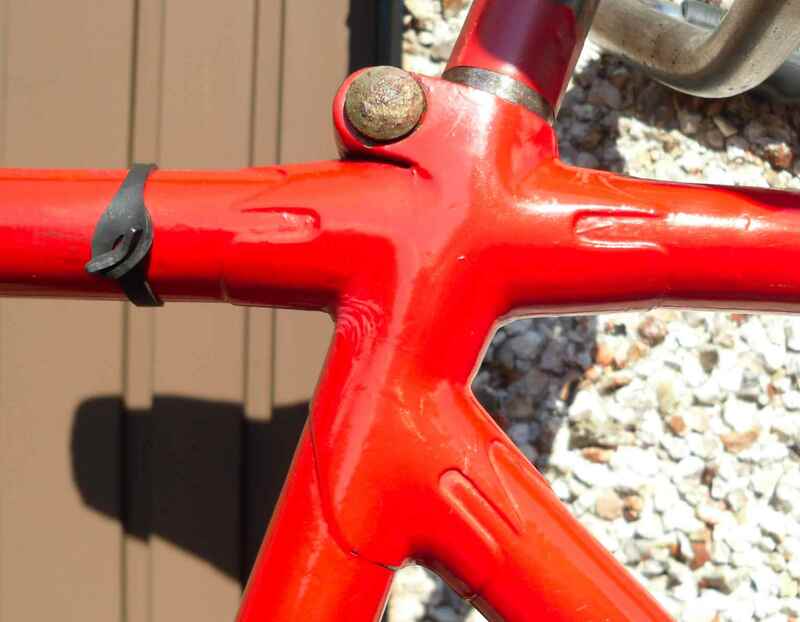 A complete bike was reduced to what you see in the photo in 12 minutes with the help of two Allen keys only, and even though the owner of the bike performs this little wonder regurlarly, there is hardly a scratch on it, due to the Japanese knack for packing things. 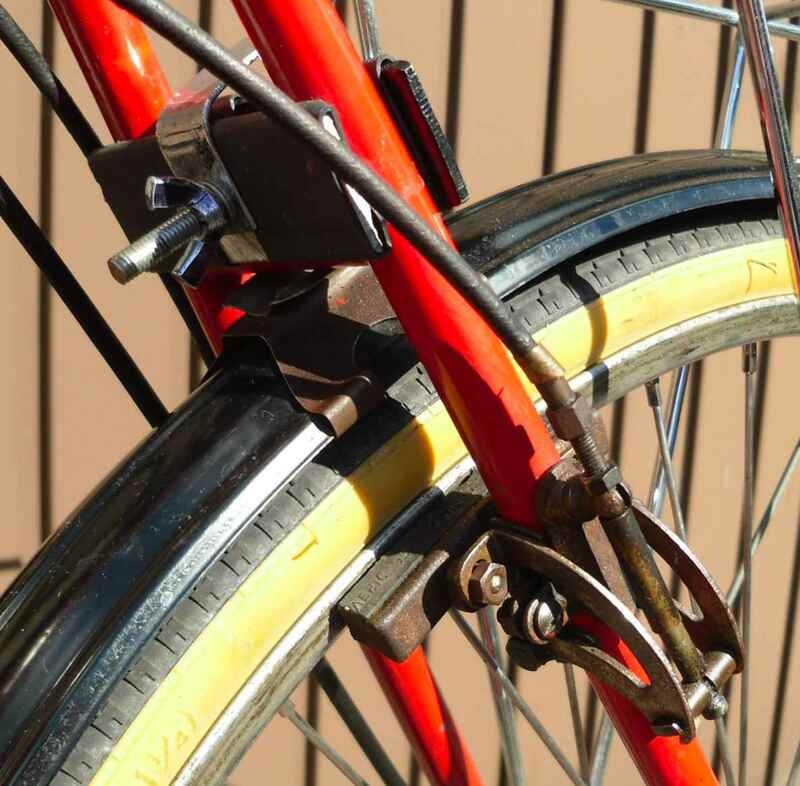 Note how the rear mudguard separates just aft of the brake bridge. Also the headset comes to bits without any special tools. And I love the quick release pedals. 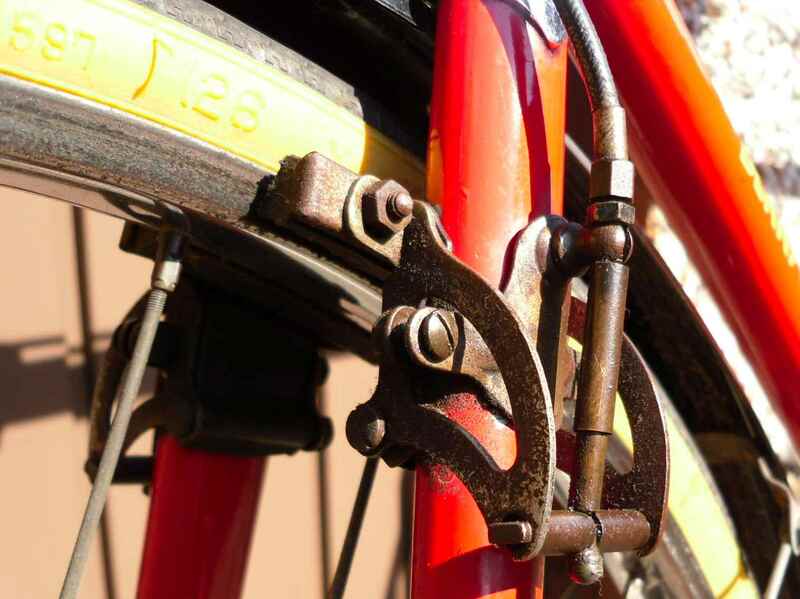 The people behind all this are some of the world´s best and most famous steel frame builders. Names like Toei, Nagasawa, Hirose and Zunow come to mind instantly, but also Grand Bois (the make Jan and Hahn tested when they toured in Japan) and Iribe are not to be forgotten. 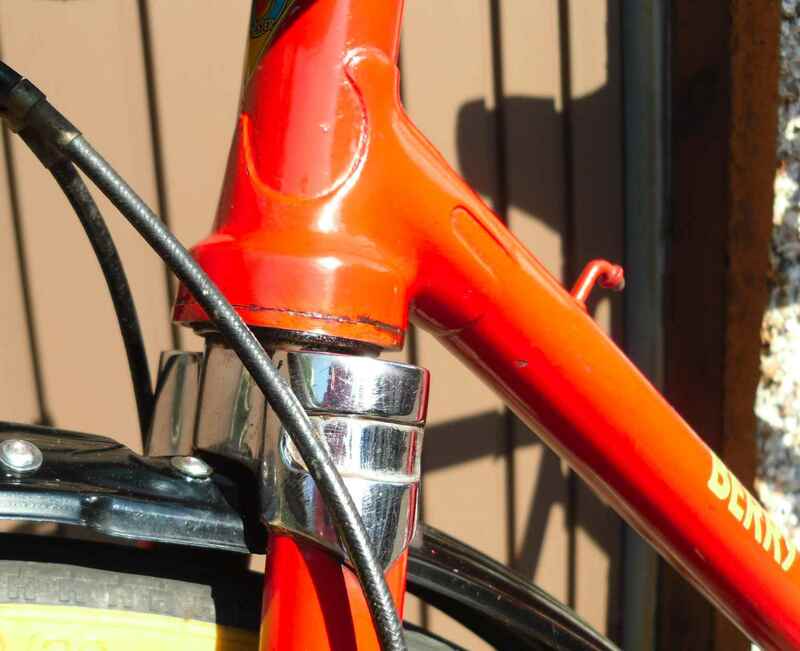 There is a good list of them on the Velo Orange Blog. This photo shows Mr. Shikuo Matsuda, builder of the famous Level Keirin frames, applying the “witch wand” hot aligning technique. The next big issue is the myth busting article regarding Campagnolo. 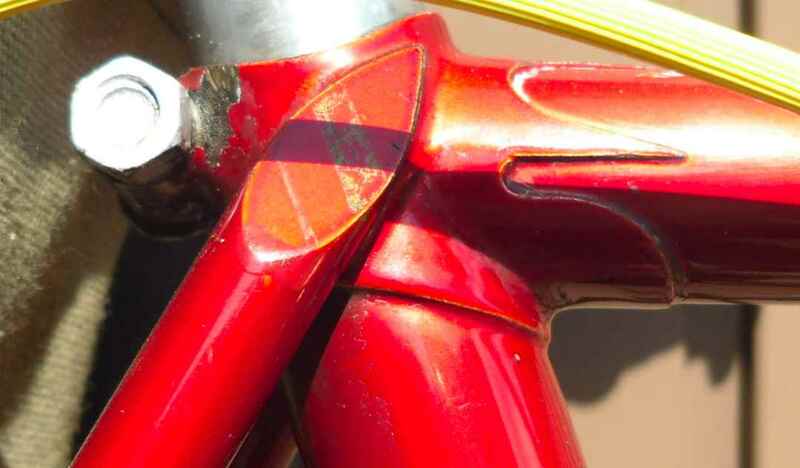 I can already hear a number of long-standing Campag collectors grumbling, but as per ususal Jan´s findings are well-documented and his approach is not clouded by the uncritical behaviour induced by too many advertisements which keep staff on many cycling mags on their toes not to cross any ad customers. A number of contemporary illustrations accompany the text – like this one showing two precursors of the famous Campa Gran Sport derailleur (right): The 1946 JIC, incorporating a return spring, and the 1937 Nivex, introducing the parallelogram principle. Jan asks himself if Tullio Campagnolo knew about the JIC – that he bought two specimens of the Nivex seems to be certain. Lastly, I personally am glad that despite the huge development that Jan´s magazine has taken over the last 12 years, the hand made, personal feel is still there. The test bike isn´t ready yet? 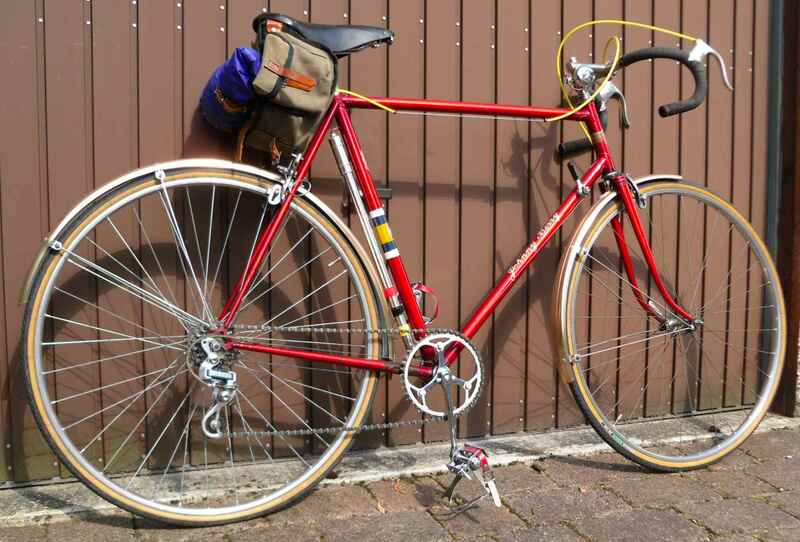 OK, let´s put it through its paces it without mudguards. After all, it should work just as well. An accident? It can´t mar a major article on another bike – the copy will be adapted so that the reader still knows all the important facts. I hope this way of publishing will continue for a long time. Disclosure: I have not been paid for writing this post. Sadly, I have not been paid for any post so far. There must be something wrong with my blog. 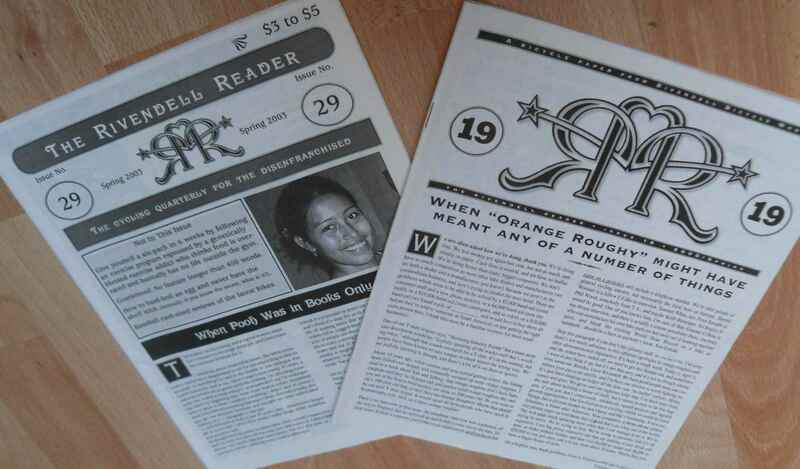 All the photos, except my crummy snaps of the old mags, are courtesy Bicycle Quarterly.